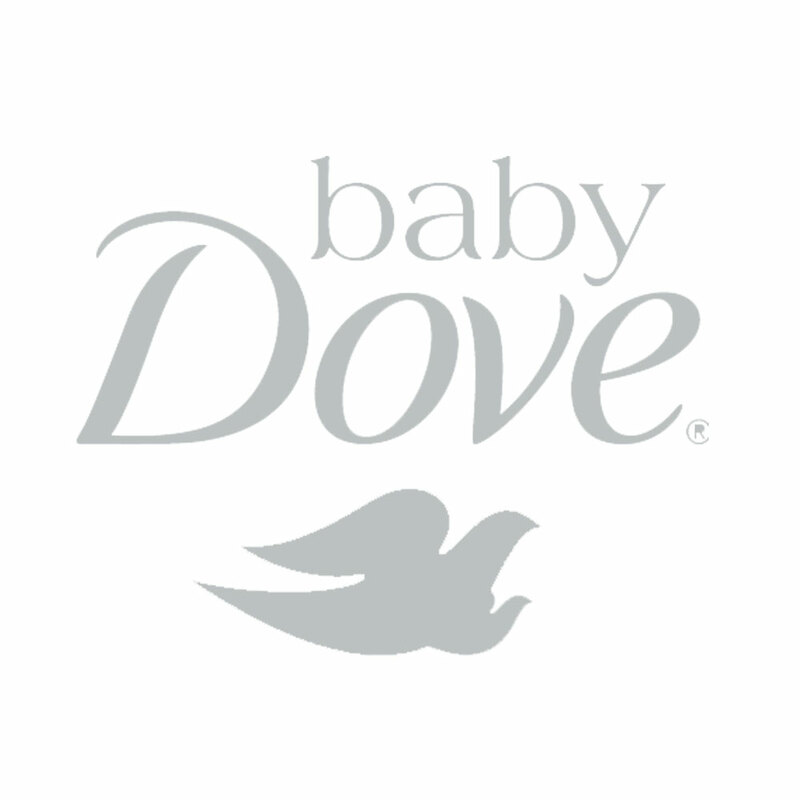 Are you choosing a preschool for your little one? 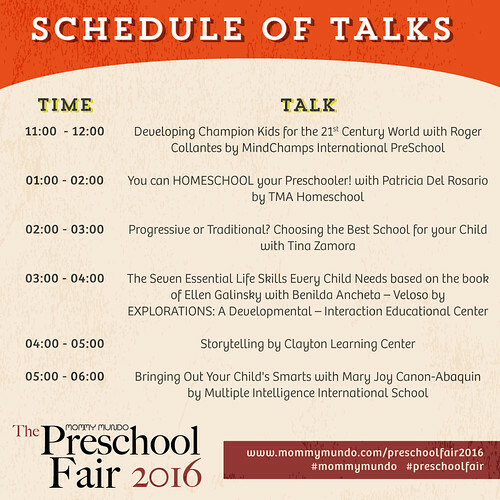 Mommy Mundo gathers some the Metro's Top Preschools in one venue! Join us on February 27, 2016, from 11am to 6pm at Top Shelf, Fully Booked, BGC. 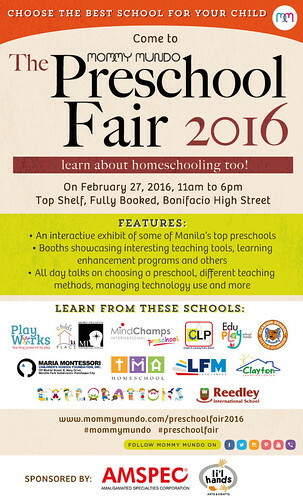 The Mommy Mundo Preschool Fair features interactive exhibits of some of Manila's top Preschools. Booths will also showcase interesting teaching tools, learning enhancement programs, and many more! Get to know more about homeschooling as well. There will be also be interesting talks all day! Mott's Name the Apple Twins Contest Extended!